Listen to this track by British instrumental guitarist, composer, and the Fierce and the Dead member Matt Stevens. It’s “Eleven” as taken from his most recent solo record Ghosts, which you can buy on a ‘pay-what-you-can’ basis’. It is his follow-up to 2008’s Echo, which you can also purchase on the same terms. 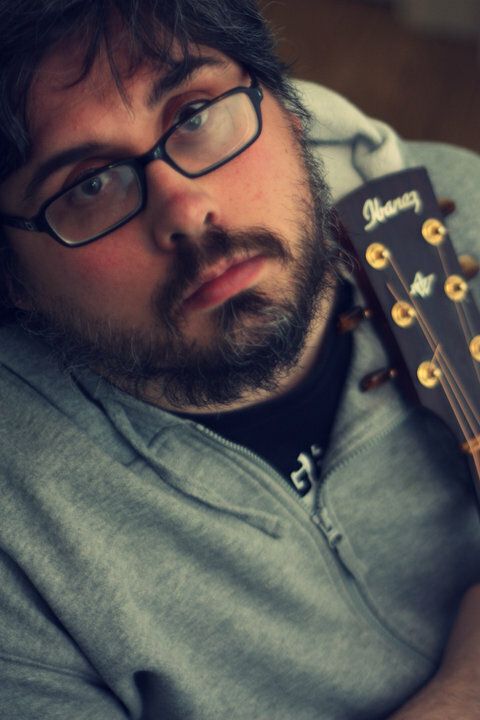 Where one might expect delicate melody lines and aural wallpaper arrangement in instrumental guitar composition, or flashy soloing, Stevens makes chords and rhythm prominent. Melodic value is important here. But, Stevens’ music is about texture, subtlety, and atmosphere for the creation of mood. Sometimes, it’s about sheer attack on the fretboard, not in a showy way, but in a way that attracts the attention of the listener to appreciate its depth. And as for genres, take your pick. Is Stevens’ music roots music, experimental jazz, post- rock? Well, yes. But, at the same time, not really. I spoke to Matt via email and talked to him about his unique approach to the guitar, about making records and promoting them on the Internet, and about life outside of a band as opposed to in it. The Delete Bin: This track “Eleven” is at times both delicate and vaguely dark and menacing too. Tell me about what inspired it. MS: Eleven is about trying to play in 2 time signatures at once, one in 11/8 one in 4/4 and the title is about being very confused when you are a child. I felt very isolated from the world when I was a kid, I grew up in Rushden in a place as far from culture as is possible to be; pre-web, no cinema, and very few pubs you can go in without being beaten up. Weird place. DB: I notice that in this tune, and on other tunes too, there is a sense of a an aural foreground and background which gives it a very literal three-dimensional effect, a real sense of location which I think comes from how the music is framed in the production. How much does the production side of what you do intersect with how you approach composition? MS: The album was produced by Kev Feazey with me watching over his shoulder! So we talk about the mix, and the arrangement evolves as we work. The production and the arrangement work together as a whole. Kev is an amazing producer, I’ve known him since I was a kid. He’s worked with Lydia Lunch and all sorts. Brilliant stuff. We try to keep the number of instruments low and make something interesting by limiting the tonal pallet and giving it a multi dimensional production. DB On other tracks, both on the new record and maybe even more strikingly on Echo, the music is very percussive in places using the guitar as a melodic instrument, but hitting the strings almost like a drum part. What other ways do you seek to expand what can be done on the instrument? MS: I will do anything to make a guitar sound less like a guitar. I get bored of it to be honest. It’s like, straight electric distorted guitar; what is the point unless you’re doing something new like Metallica, or Celtic Frost, or Napalm Death, or Nels Cline, or Radiohead? I reckon there are new sounds you can get from the guitar, (although) the whammy pedal is really useful for giving you a couple of extra octaves. The percussive thing is from being into drums but not having any percussion. When I was doing Echo, I was playing live just with a loop pedal so any percussive sounds are a bonus. I was banging the guitar like a drum and looping it a lot of the time. DB: To my ears stylistically, I can hear a bit of neo-classical Steve Hackett, and some experimental Robert Fripp influences. But I also hear a bit of Johnny Marr, and Radiohead, too. What’s your approach when striking a balance between accessibility and more challenging textures within an instrumental framework? MS: To be honest I just don’t really think about accessibility – I just try and do stuff I like. The goal is purely to make stuff that is interesting to me, and If people like it that’s a massive bonus! Fripp really opened a lot of areas up for the guitar and rock music in general. The Red era was a big influence as was the Discipline era, with all those layered guitar things. Its the orchestral approach to the guitar of people like Radiohead and Marr, where they layer things up the different sounds and John Mclaughlin’s Mahavishnu Orchestra era guitar playing with all the inversions on the chords. Also the Groundhogs guitar parts, all those layered parts in harmony; awesome. 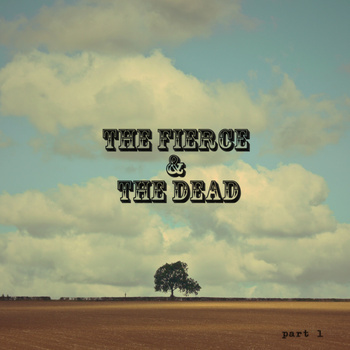 DB: You’ve also record with a band – The Fierce and the Dead. How do your musical goals differ in that setting when compared to what you’re trying to do on your own? MS: The Fierce And The Dead is very much is a collaboration so it’s less under my control. It’s all done fairly democratically. With my own stuff I make the final choice. That’s the difference really. With my solo stuff, the acoustic guitar is used more, as to my ears, it sounds bigger as a solo instrument. The electric sits better in the context of the band, where a thinner sound cuts through much better. DB: Many people appreciate instrumental music like yours in the form of film music. How do you think your music contributes to the idea that sound suggests, or augments, images and story? MS: I am a big fan of soundtrack type things like John Barry and Bernard Herrmann. A great soundtrack can make a film, and an awful one can have the opposite effect. I would love to do more soundtracks in the future and I really like the idea of crating images in people’s heads. DB: In a live setting, your performances are very improvisational in nature. What role does improvisation play in your efforts as a composer? MS: Well, I’m not really thinking about improvisation as a end in itself, I’m trying to hit a moment of instant composition. Sometimes it doesn’t work, and sometimes its amazing. I feel its worth the risk for when it works. I love it when you’re on a roll and you end of somewhere you’re not expecting. I was doing a quite punky upbeat acoustic thing and it ended up going far more ambient at the end. That’s when it’s great, and it keeps you interested when playing live. DB: You’ve been quoted as saying that ‘obscurity is the enemy, not piracy’ which has fueled your decision to offer your work on a ‘pay what you can’ basis, among other self-propelled marketing innovations. How has this decision affected your relationship with your audience? MS: I think it shows you trust your audience. I have a very close relationship with the listeners which I hugely value. I feel incredibly lucky to have people listening. I’m not sure if pay walls really work on the Internet, and they tend to cause people to use bit torrents. Surely it’s better to engage with your audience and the get their email address, and open up a dialogue. My only concern with this is what happens when an audience grows to the point where they have no connection with you and feel that there is no need to support you financially. It’s hard to finance projects but at the moment my frankly bloody wonderful audience support me. These days its hard to recoup, but we’ve done it with both my records and thats totally down to the support of the audience. Be sure to visit Matt Stevens’ website, where you can find links to download his albums, and to find out where you can interact with Matt online, including Twitter, YouTube, and Facebook. For all of you budding guitarists out there, be sure and sign up for Matt Stevens’ guitar lessons via Skype.